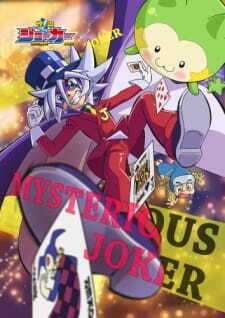 Third season in the Kaitou Joker anime series. Welcome to the Season 3 review of Kaitou Joker. HOW IS MY QUEEN? AS CUTE AS EVER !!!! What about the story? Professor Clover is over, but the battle is just beginning. We are introduced to a new evil, the organization Devil's Fang headed by President D. There is something different about this new evil. Joker finally has his own archenemy! President D. is dangerous in that he would send assassins to target Joker on his heists and watch him suffer on that big screen monitor while eating that fat juicy steak lol That is a plus since it gives Joker more formidable opponents on his heists. Joker is still trolling hard! He pretends to lose or get trapped, but he actually has a trick. We are also introduced to a new character, Phoenix! Like President D. we don't find out more who he is until much later, but Phoenix is like the new Shadow Joker. Also it would seem he is not human, he could transform into a cool firebird with wings and powers. Since many heists involve treasures of Phoenix's background, he too competes in the hunt as a rival to Joker. The anime opening is spot on as always and it looks excellent! We got a exciting remix of the Sai Sai Hai Hai in the Season 1/2 Opening, Can't stop listening to this too. The voice-acting of the characters is beautifully done. I have so much fun watching this anime, NUMBER 1 FOREVER !!!!! !